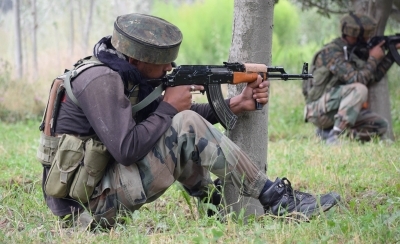 Srinagar, Aug 26 (IANS) Eight people, including six security men and two militants, were killed on Saturday in a gunfight between holed up militants and the security forces inside the district police lines complex in Pulwama. Police said firing inside the district police lines complex had stopped and searches were being conducted inside the complex. The six security men killed in the operation against the militants included two policemen, two Central Reserve Police Force (CRPF) troopers and two Special Police Officers (SPOs) of the state police, they said. “After the two militants were killed, firing inside the complex stopped,” police said. Earlier, all families of police personnel were safely evacuated from the family quarters inside the complex. Police said there was no hostage situation at any time during the operation against the militants, who had managed to enter the police lines after hurling grenades and using heavy volume of automatic gunfire around 3.40 a.m on Saturday. The Jaish-e-Muhammad (JeM) has owned responsibility for the attack. A JeM spokesman, identifying himself as Hassan Shah, phoned a local news agency to own responsibility for the attack. The Army, state police and the CRPF jointly carried out the operation to flush out the holed up militants. A building inside the complex was set ablaze. Fire tenders were called in to douse the fire. The authorities have suspended internet services in Pulwama district as a precautionary measure.